Re: Sandy Hook: Proof that the family portrait was doctored ? 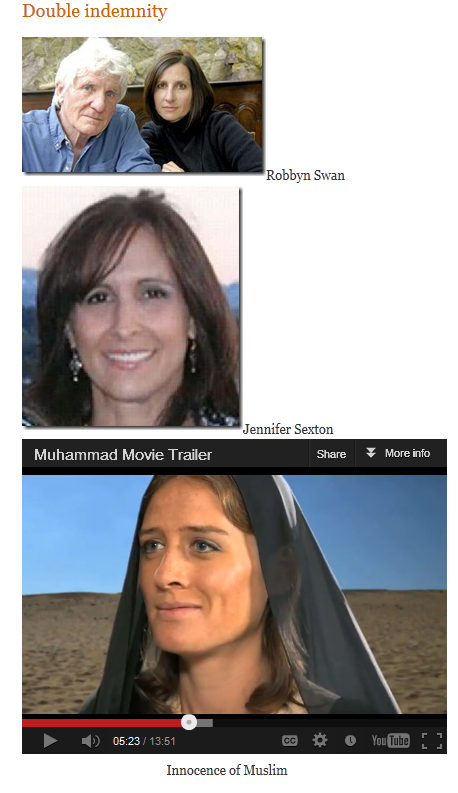 Unbelievable as Jennifer Sexton, aka Laura Phelps, aka Robbyn Swan acted in Innocence of Muslim. This is simply too incredible to believe. How did we (I) miss all of this ?